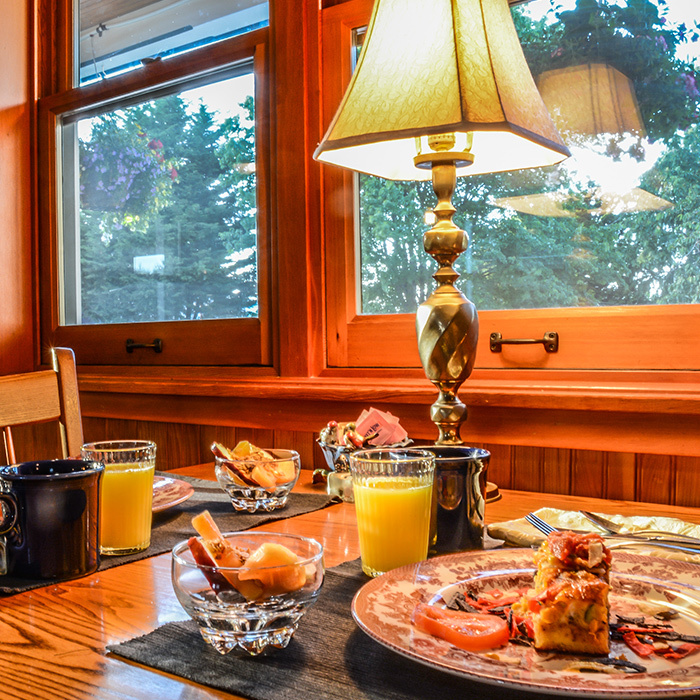 Offering the most delicious complimentary breakfast in town, Wild Iris Inn and our Chef, Lucretia, welcome you to our cozy dining room each morning for a generous two-course meal. 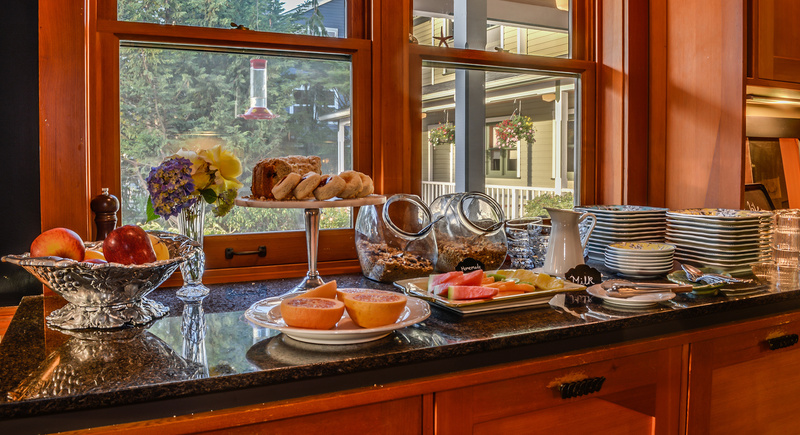 Our complimentary breakfast is served daily from 8 a.m. to 9:30 a.m. and includes a first-course sideboard buffet offering fresh fruit, two types of homemade granola, fresh baking, orange juice, fruit, water, and yogurt. 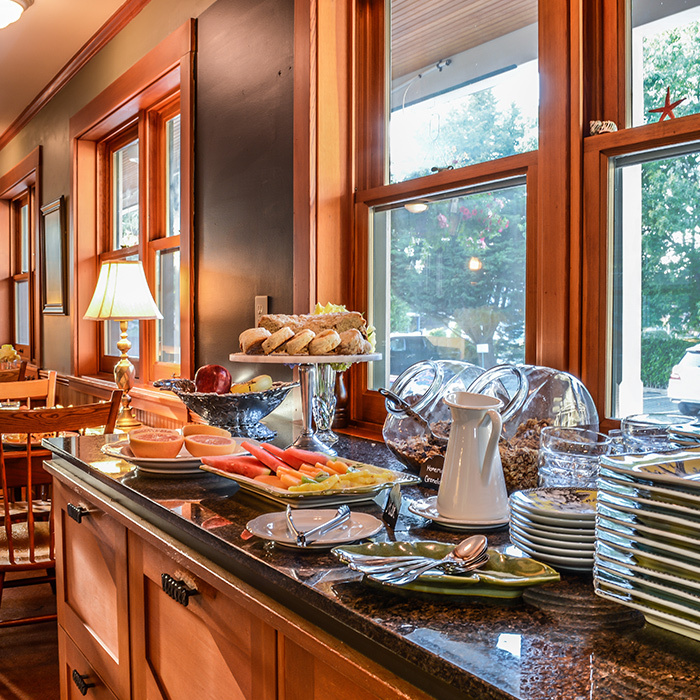 The second course, served hot and fresh, changes daily to keep things exciting - Frittatas, omelets, eggs Benny, French toast and more. 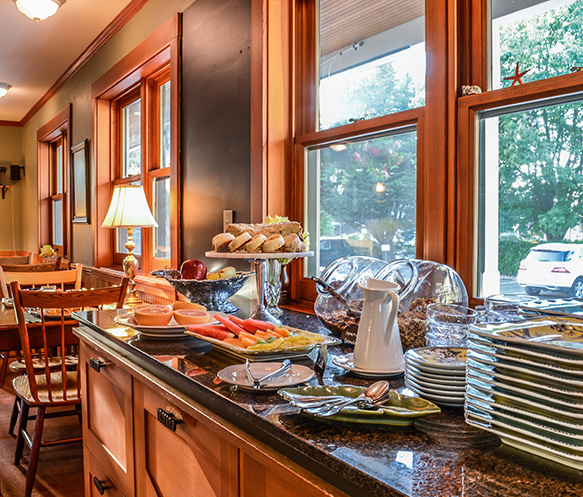 Enjoy all this while sipping on a warm cup of coffee or tea to start your day right. 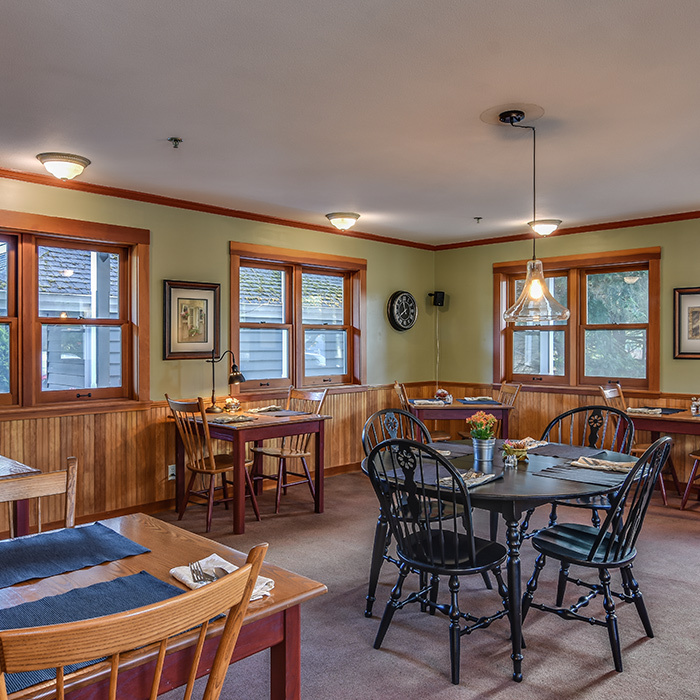 Join us for breakfast in our dining room. 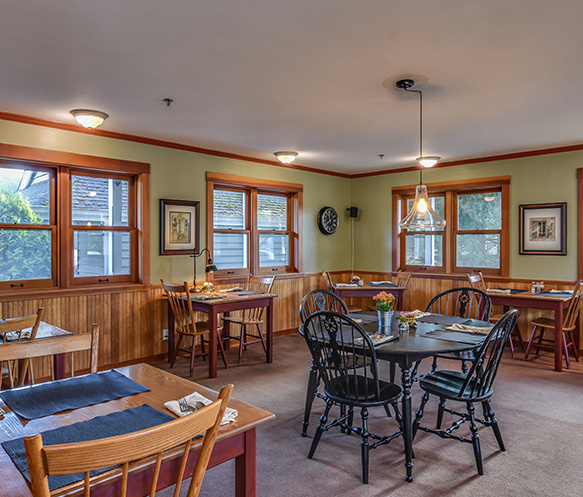 We want to make sure none of our guests are left hungry: If you are catching an early morning ferry or need to hit the road before our dining room opens at 8 a.m., make sure to ask for a special “To Go” breakfast the evening before. 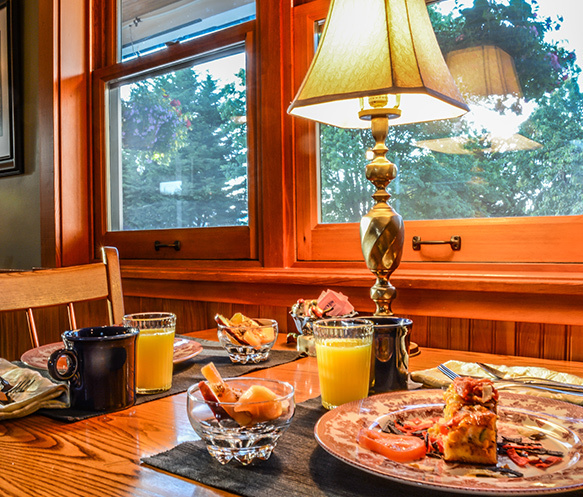 Would you prefer breakfast in the privacy of your own room? 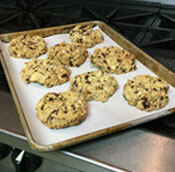 For an additional $20 fee, we would be happy to bring your breakfast to you! 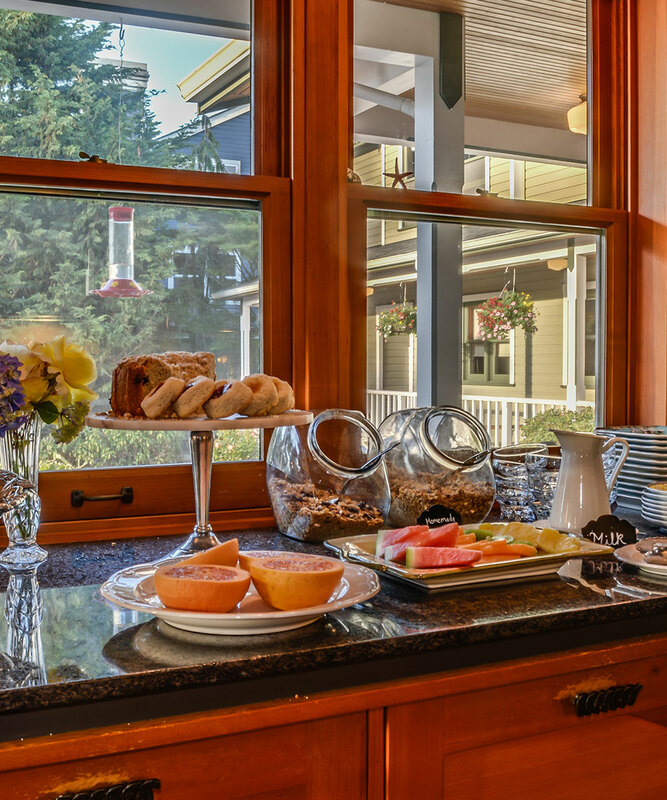 Our boutique inn in La Conner, WA has perfected the art of breakfast! Come join us for a night (or more!) 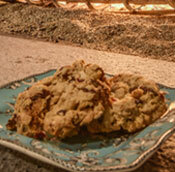 to experience true West Coast hospitality. Book your stay online or contact us for personal assistance. We look forward to seeing you!